By the time tech entrepreneur Eric Peterson dies, he plans to be penniless. This is no small feat, because in 2001 Peterson sold his privately owned medical imaging company, Mitra, to Agfa-Gevaert (a multinational maker of imaging products) for roughly $300 million. Granted, a decent-sized chunk went to his business partners and another slice was distributed among the 400 staff of his Waterloo, Ontario-based company. But that still left him and his British-born wife, Christina Munck, a sizeable fortune to play with. 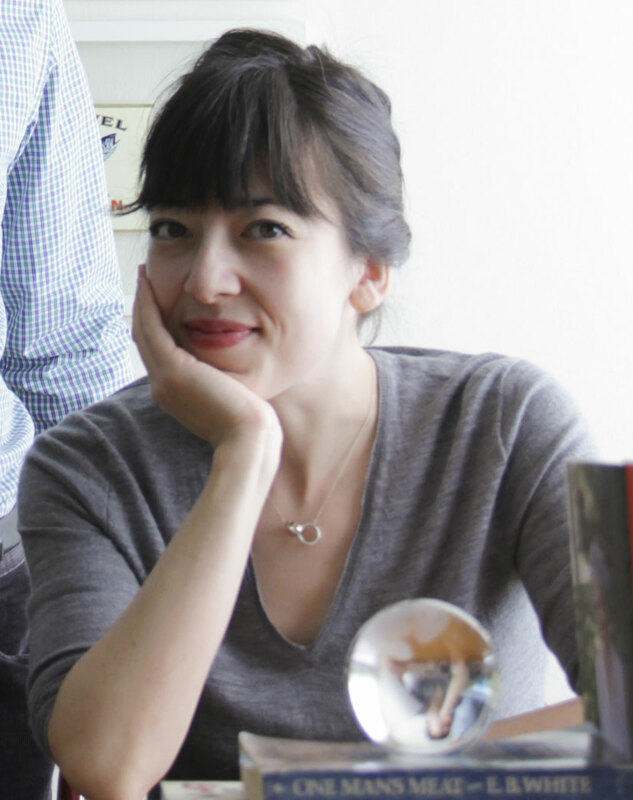 Right now, that savant-like capacity is directed toward the many initiatives bankrolled by the couple’s private non-profit Tula Foundation, launched after the sale of Mitra. Tula currently has assets of approximately $160 million, much of which is in the form of a cash endowment. (Peterson rarely refers to money as money. It’s a “resource.” Similarly, his monetary donations are “investments.”) And what makes the philanthropy so noteworthy is how under-the-radar it is. Unlike benefactors such as Peter Wall, Jimmy Pattison or Jack Diamond, none of Tula’s many endeavours bear the couple’s name. Indeed, outside of those individuals directly affected by their work, few even know who Peterson or Munck are. “When people think of a family foundation, it conjures up a certain image, and we pretty much defy that image,” says Peterson. “We see the Tula Foundation as a mechanism for wealth mobilization and redistribution. The goal is to put the money to work.” Initially, the couple invested about a third of their Mitra windfall into the foundation and its work. By now, Peterson estimates that figure is between 80 and 90 per cent. At first, Peterson and Munck used Tula to fund initiatives across a variety of organizations, including the B.C. chapter of the Nature Conservancy of Canada, the Environmental Law Centre at the University of Victoria, online news site the Tyee, the Centre for Microbial Research at UBC, and their telemedicine healthcare initiative in Guatemala called TulaSalud. 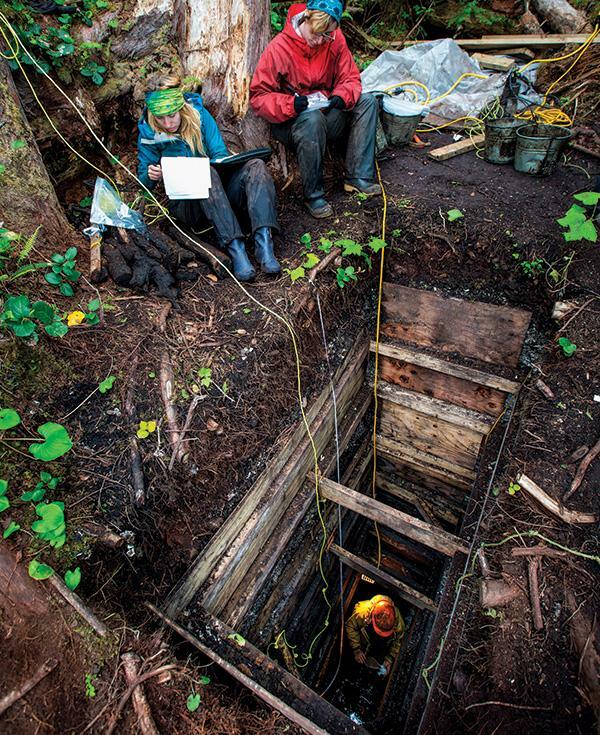 Then, in 2009, they made their biggest investment yet: a science research centre on B.C.’s remote central coast. In late August of that year, the couple found themselves vacationing at a luxe fishing lodge on Calvert Island called the Hakai Beach Resort. They were already committed donors to the Nature Conservancy of Canada, helping to secure tracts of coastal land, but they wanted to be more invested and establish a more continuous and better outfitted presence on the coast. When they heard that the resort was about to be sold, they saw in its swanky bones the beginnings of a science field station and made a cash offer. 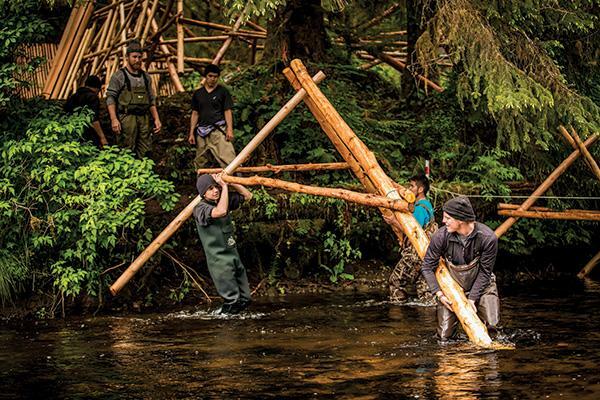 Two weeks later, it was theirs—and the Hakai Institute (Hakai means “wide passage” in the Heiltsuk language) was born. 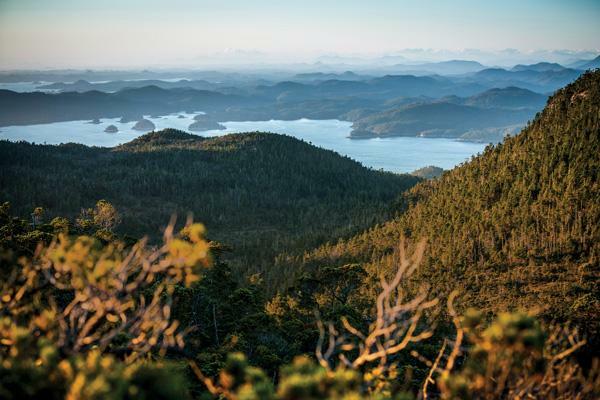 To travel to Calvert Island located roughly 100 kilometres north of Port Hardy, is to survey B.C.’s remote riches. As one flies north from Campbell River, the forests appear a green patchwork of logging stands, but then as Vancouver Island peels away from the mainland, the green gives way to wild islets scattered across the sea like crumbs. Further north still and the woods become boggier and soppier, the coastline weathered by the incessant waters of Hecate Strait. This is the heart of the Great Bear Rainforest, and the unceded traditional territories of the Wuikinuxv and Heiltsuk First Nations. 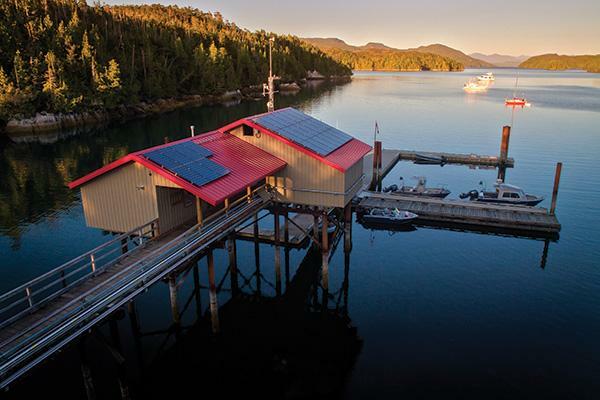 The Hakai Institute launched with a mission to build and run a long-term coastal and marine ecological observatory on the central coast. Peterson, who professes a love for science since boyhood, saw a fruitful and untapped frontier of discovery in the boggy forests and corrugated shorelines of Calvert. He had this sense that if he could just get scientists out onto the landscape, they would inevitably make incredible discoveries. He wanted Hakai to become an embodiment of scientific exploration and discovery—a countervailing force to the dramatic contraction of federal government science over the past dozen years and a beacon for coastal communities and scientists alike. 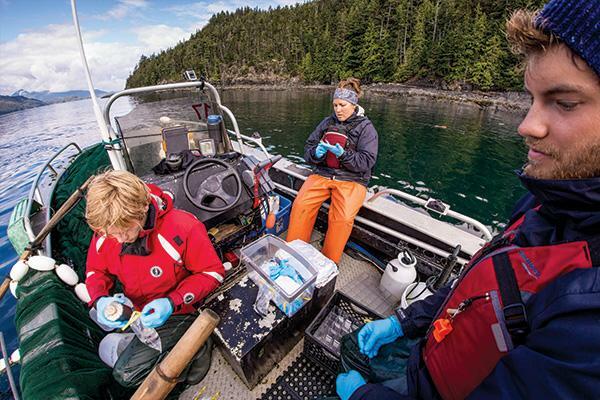 At first glance, the breadth of Hakai’s research programs seems dizzying, spanning everything from archeology and carbon dynamics to marine microbiology and salmon migration. But all those research projects have two things in common: a shared geography and Peterson’s conviction that they will succeed. “We focus on things that we think are important, and we focus on things that we think we can do well,” he says. Last year on Calvert, a team of archeologists uncovered what might be the oldest footprints in North America, dating as far back as 13,000 years. Basic surveys of kelp diversity in adjacent waters uncovered record numbers of species, several of which had never been recorded on B.C.’s coast before. And simply by looking closely at a spoonful of sand on Hakai beach, microbiologists have identified new species of microorganisms. Today, Hakai employs about 70 people (40 scientists, the rest support staff—all reporting directly to Peterson), boasts accommodations for 100 people and has a flotilla of a dozen research boats. 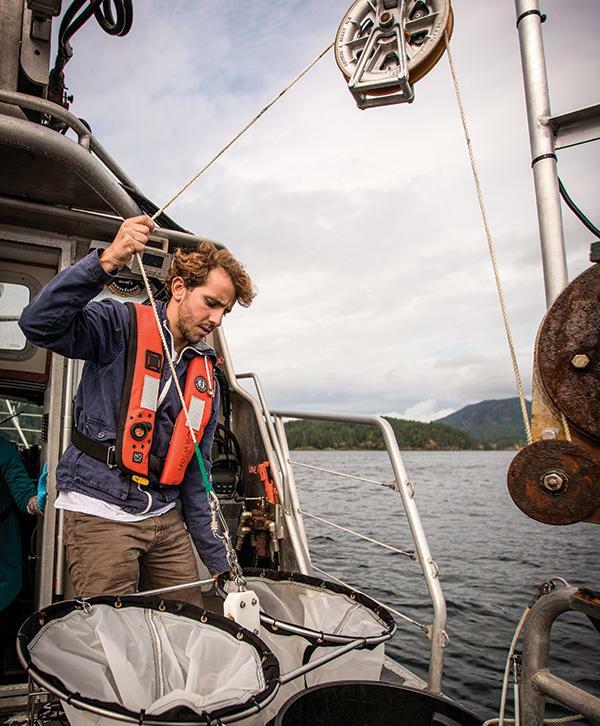 Over 200 scientists and 80 research projects on the central coast trace their work to Hakai’s support—that’s in addition to the constellation of collaborators across First Nations agencies, and federal and provincial departments. In what could still be considered its salad days, Hakai has already shifted the field of gravity of science in B.C. and it’s still expanding. 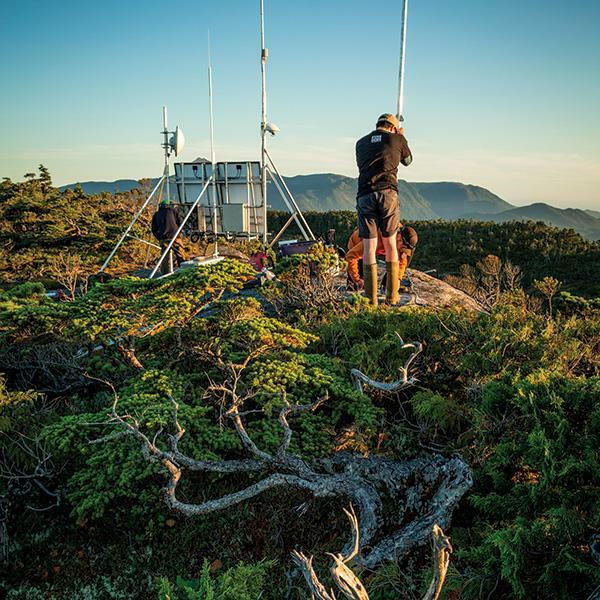 Last summer, Hakai opened a secondary field station on Quadra and is currently in talks with the Smithsonian Institution to join the American research organization’s Marine Global Earth Observatory network. 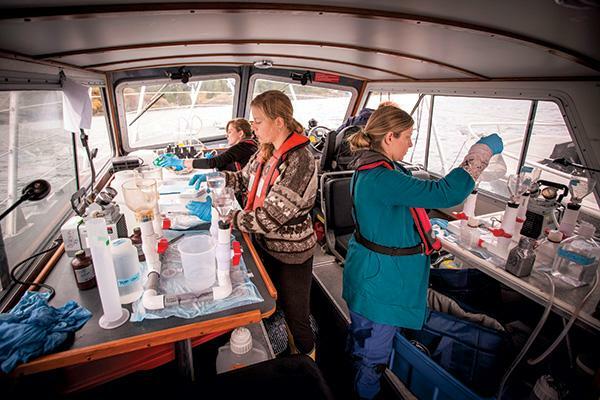 At the same time, Hakai is also charting a new way of doing science. “I think where he is and what he’s doing will very much advance the kind of science that is needed if we’re going to sustain our marine resources,” says Eddy Carmack, an emeritus scientist with the Institute of Ocean Sciences at the Department of Fisheries and Oceans in Nanaimo. “He’s not bound by the conventional rules or academic protocol, which is quite refreshing.” Kelly Brown, director of the Heiltsuk Integrated Resource Management Department (the stewardship branch of the Heiltsuk First Nation, near Bella Bella), tells how Hakai’s weather station, water sampling program and kelp research have led to more informed decision-making and planning for his department. “I think there’s a lot of really good work that’s taking place between what we do and what they’re doing,” says Brown. Born in 1949 in Port Alberni to an architect father and social worker mother, Peterson knew even as a child that he wanted to be in science. By the time he graduated high school, the genetic code was just being cracked so he changed his university major from math to genetics, following his undergraduate degree with a master’s in genetics at UBC. There he witnessed firsthand the value of pure research—science for science’s sake—which remains the guiding force for Hakai’s myriad science projects. 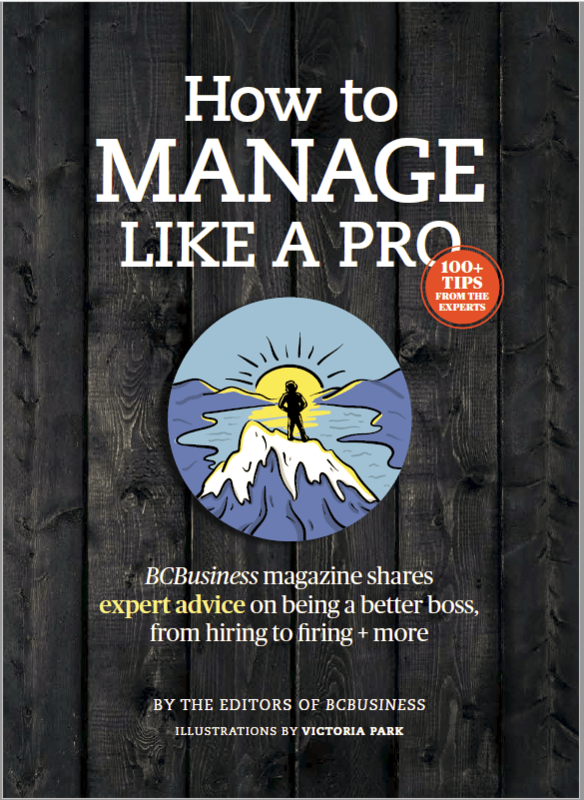 Throughout his UBC days, Peterson would step away from school to travel and work stints in industrial settings—on a commercial fishing boat, at a cannery, in a pulp mill, at a sawmill. Even now, Peterson is more comfortable in a blue-collar milieu—among people with “practical skills,” as he puts it. This might explain why other business magnate-turned-coastal-cause philanthropists demurred from commenting on his accomplishments for this profile. While aware of his work, they simply didn’t know him well enough to comment—a testament to the fact that Peterson is more likely to be found ferrying staff around Fitz Hugh Sound than hobnobbing in Vancouver. “I’ve very much told people like [our support staff], ‘Do not be intimidated by anyone that comes here­—you are absolutely everyone’s equal,’” says Peterson. “I feel that in my soul. 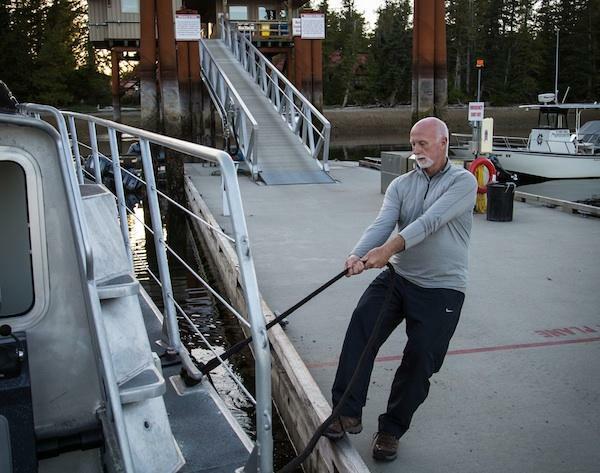 Everybody is necessary to what we do.” In a telling tribute, the marine lab at Hakai is named not after some brilliant scientist but Hakai’s chief carpenter, Matt Griswold. After completing his MSc, Peterson went on to do a PhD at Sussex University in the U.K. (where he met Munck, who worked there as a research technician) and then completed a postdoctoral fellowship in neuroscience at Harvard. A stint in academia as a teaching scientist at McGill left him searching for a less structured work environment, which ultimately brought him to the burgeoning tech hub of Waterloo and life as an entrepreneur. Mitra, launched in 1991, quickly became a pioneer and leader in the world of digital medical imaging; its technology allowed patients to stay put and have their medical images travel instead. It grew into big business but was also a cause that Peterson and Mitra’s staff all believed in: the faster Mitra could make medical imaging files move across hospital computer networks and cyberspace, the faster doctors could diagnose patients and help save lives. Rick Stroobosscher, who worked as Mitra’s chief technology officer and is now president of Karos Health, describes how Peterson was always on the lookout for opportunities in a space that wasn’t too crowded but where a real need existed. 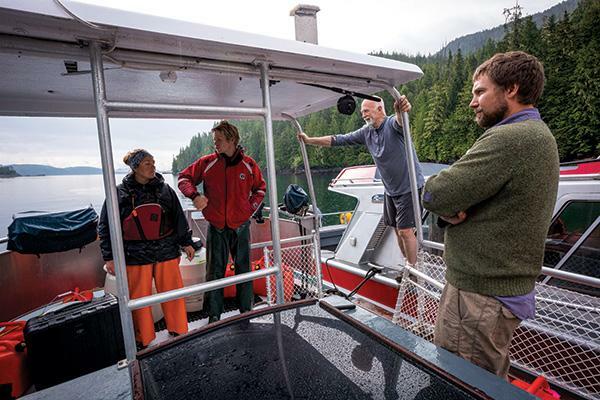 Prior to founding Hakai, Peterson had never been at a field station, nor had he ever taken an ecology course. Still to this day you won’t find him wearing hip waders electrofishing or dragging a seine net to sample plankton; his is a more organizational role, communicating his vision to staff or headhunting the next Hakai scholars. Yet his deep love of the coast and respect for science permeates everything Hakai does. For now, Peterson’s priority is having Hakai recognized as a world-class scientific research institute—which is one reason Russ Lea is visiting the institute. NEON, the organization Lea used to lead, represents the U.S. National Science Foundation’s largest investment in ecological monitoring infrastructure—an ecological equivalent of particle accelerators for physicists. Peterson is eager to see what Hakai can learn from NEON—and what a partnership between the two might look like. Shortly after their seaplane lands on Calvert Island, Lea, Peterson and several Hakai staff boat up to where stream No. 1015—recently wired with sensors that monitor its temperature, height, flow and electrical conductivity—discharges into the sea. These sensors will provide researchers with data on how the stream behaves 24/7 so that they can build more accurate computer models of the watershed’s behaviour, particularly in relation to how it may shunt carbon from the land to the sea. 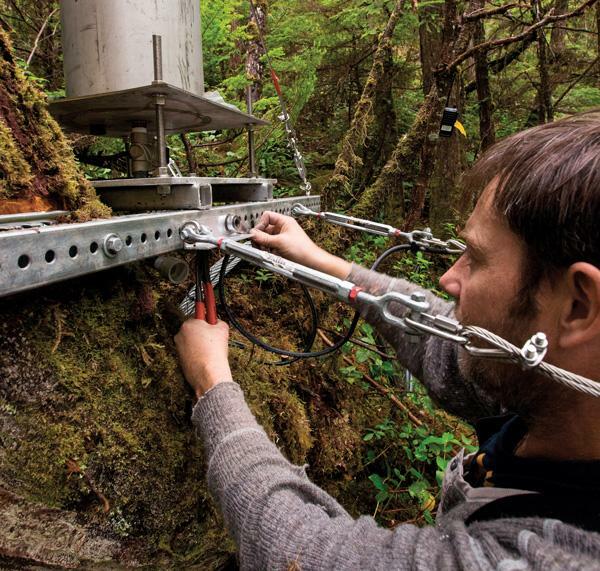 It’s a small but valuable puzzle piece in understanding how the Great Bear Rainforest factors into global carbon dynamics. In one spot, a solar panel is mounted 10 metres up into a cedar tree; in another, the two have co-opted a part typically used to adjust the angle of a boat’s motor to automate a complex process that measures stream flow. 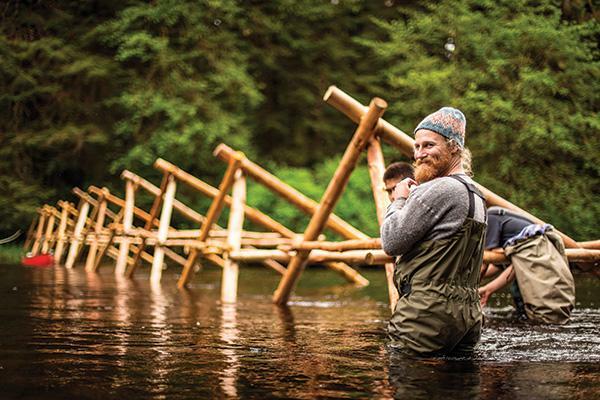 It’s a nuts-and-bolts approach to engineering that uses off-the-shelf parts—and for Peterson, who is seeing the site for the first time, it epitomizes how Hakai takes the attitude and energy of a tech start-up and applies it to science.